As the temperature of the eastern U.S. rose by about .3 degrees Fahrenheit over the past 30 years, trees have migrated both to the north and to the west. While rising temperatures caused various trees’ dispersion to shift, there are other forces at play as well including increased precipitation in some places and droughts in others. 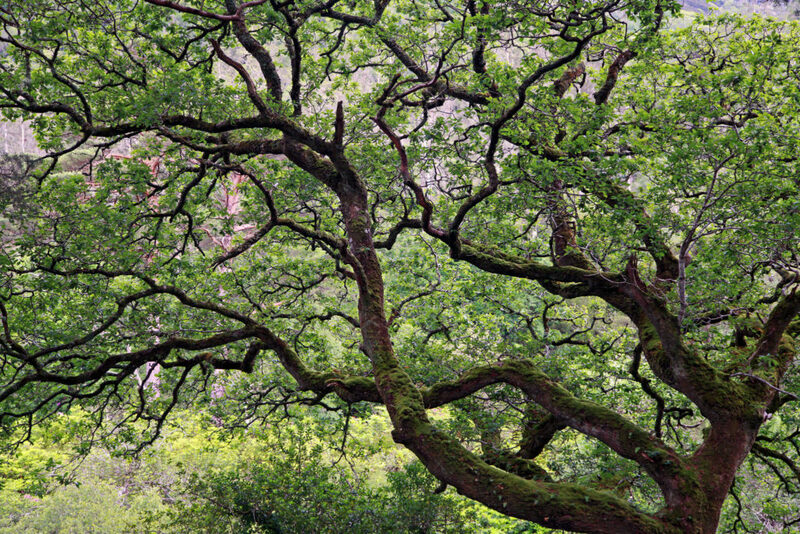 It turns out that different types of trees respond to climate change in different ways. Gymnosperm trees – like pines and firs – have seen their population centers shift to the north. Angiosperm trees – deciduous trees like oaks and maples – have drifted to the west. The movements have not been small, amounting to anywhere from 12 to 15 miles per decade. Pine and fir trees are pollinated by wind and are sensitive to temperature fluctuation but are fairly resilient during droughts. Deciduous trees usually rely on insects for pollination and are less able to withstand droughts. Overall, the distribution of trees has continued to move toward the north and the west. The long-term impact of these changes remains to be understood. It must be taken into consideration along with changes in land use, blights and pests, and the impact of various conservation and reforestation efforts. Forests play a critical role in sequestering carbon from the atmosphere and the lumber and paper industries are huge businesses. The changing nature of our forests is something that must be monitored very carefully. Photo, posted June 20, 2012, courtesy of Graham Higgs via Flickr. ‘Migrating Trees’ from Earth Wise is a production of WAMC Northeast Public Radio.